One of the best ways to get the job of your dreams is to be well and truly prepared for your interview! Being prepared will not only insure you answer the questions with ease but will also make you feel confident, calm and collected on the day. The most useful things for me when preparing for my job at Benefit cosmetics was reading about other people's experiences. So I thought I'd contribute my interview experience and a little bit about the job for anyone who is thinking of applying or has a interview coming up themselves! First things first, I applied for the position of Seasonal Beauty Adviser. I worked through November and December 2014 as a Christmas Temp. I was then hired a few months after in a different time to work full time and have been working there since. Besides this blog, I have no previous makeup experience, so please don't be nervous if this is also the case for you. What I do have however, is a powerful interest in makeup, confidence in applying makeup on others, previous sales experience and most importantly extensive brand knowledge and a pure passion for Benefit Cosmetics. What previous sales experience do you have? 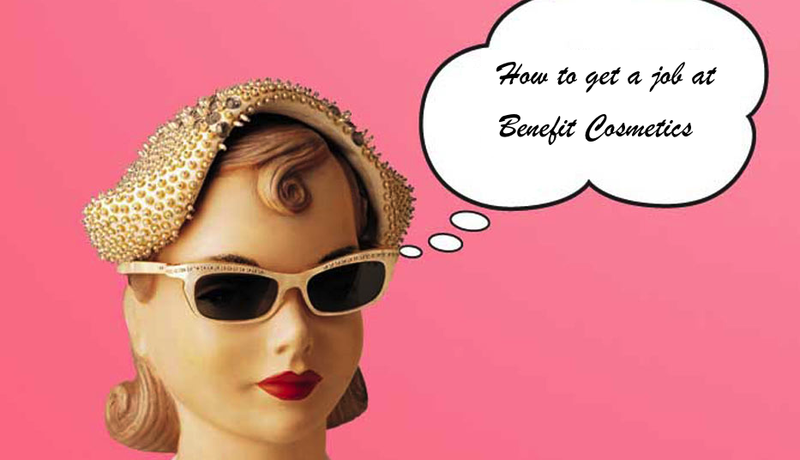 Why do you want to work for Benefit Cosmetics? What are your favourite products and why? If you could be any Benefit product what would you be and why? That last one's a bit tricky and the only one I hadn't previously read about/prepared for (you can thank me later!) I think I said 'I would be the Rockateur blush as it's girly and fun but has a bit of an edge' In short, be creative - pick a product you know and love and compare your own positive traits to those of the product. Answering this question well will show off your skills as well as your product knowledge! After the phone call which lasts around 7-10 minutes, they will tell you whether or not you are invited to the real life interview.. this is where it gets serious! Have you ever worked towards targets before? 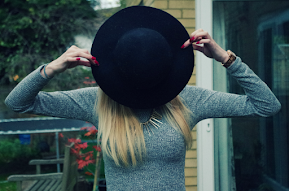 How would you create a good customer experience? Share a time you experienced a tricky customer - how did you handle the situation? They also ask a bit more in depth about your previous experience, qualifications and what you're doing at the moment job/education wise. You will most likely be interviewed by an area manager! All the beautiful benebabes higher up in the company that I've met are all very friendly and welcoming so don't worry! A big piece of advise I'd give for all stages of the interview would be to hold the brand values in your attitude. Benefit are all about fun, they are looking for fun, friendly, happy, bubbly smiley staff so show that this is who you are and that you'd fit into the benebabe family like a missing puzzle piece! If you're successful you'll then be invited back to the audition which takes place after all the interviews that day have been completed. For me this was an hour an a half later - which meant I got a nice little coffee break! The two hour audition is perhaps the most crucial part of the interview process. In other blog posts I've read that you are shown a few products, a specific order to use them in and how to use them before the audition. On my audition however we were very short on time and so they said that they were confident the applicants they'd picked for this stage had sufficient product knowledge and were given free range of all the products! In short - be prepared for anything, there's no specific formula for any interview! You are then made to 'traffic stop' this is where you grab a member of the general public and offer them a free 'mini-makeover'. If you are not confident approaching strangers or applying makeup on others then do not apply for this job. Even if you get the job after, this is what you will be doing every working day so you have to enjoy or at least be confident with it! By this point I think I had already consumed around three black coffees so being energetic was beyond an issue. The key to traffic stopping is confidence, I can not stress this enough. If you walk up to a member of the public and shyly ask them to come over for a makeover they're going to dismiss your offer. Be bubbly, confident, energetic. Let them know it will only take a few minutes of their time and bring them over to the counter. I would recommend if not previously given a correct order, applying two items of skincare (eg. It's Potent eye cream & Triple Performing Facial emulation) followed by a primer (e.g Professional) and then two items of makeup (e.g Boing concealer and They're Real mascara) this follows the Benefit 'Prep, Prime & Perfect' magic fomula whilst still keeping it simple. Always ask customers if there's anything in particular they wanted to try, this is the easiest way to get a sale. I've read on others that this part of the process is all about 'bums on seats' i.e the number of people you get sat down at the counter. Strictly speaking I think this is very important, getting customers to come over shows that you have good interpersonal and social skills. However I don't think that this is the only thing they are looking for. The benebabes looking over you will also be monitoring your social skills and how well you interact with the customers, your product knowledge and product application. One thing that I personally think is very important that not many others in my audition paid much attention to is hygiene and organization. In the moment you may be very nervous and focusing more on getting 'bums on seats' than keeping their workplace clean and tidy. Coming primarily from a barista background this came quite naturally to me, but seriously, it takes two seconds. Throw away your dirty tissues/cotton pads,properly sanitize brushes and anything that has been directly applied to a customer and put everything back where you found it! I was called back around two days after. They told me that I had pretty much got the job however I would need a store approval. This is where you meet with somebody from the store you're working in (for me it was the beauty manager for the department store the concession was in). They will assess briefly whether you will fit in well with the store. You'll then be taken over your schedule with your account manager and you're in! I've worked in other retail stores, cafes and even a restaurant but I have never enjoyed a job as much as I do Benefit. It may sound a bit corny, but making women smile becomes a part of you daily routine and what could be more wonderful than that? 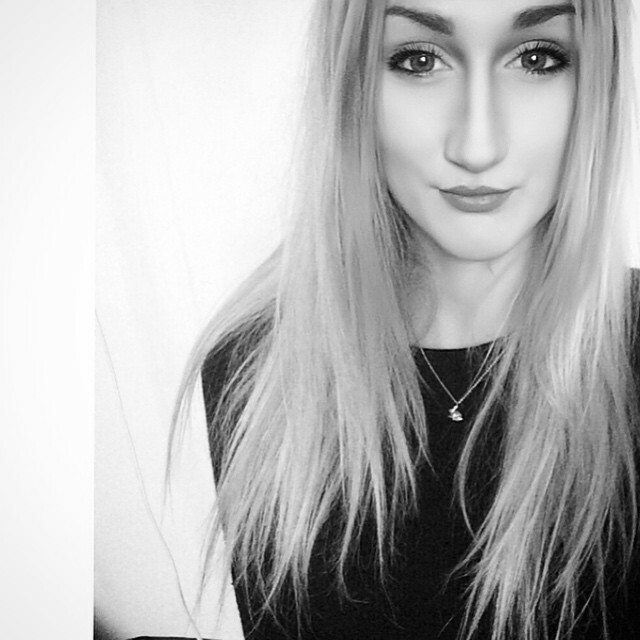 Working at Benefit has only made my passion for makeup stronger and I would love to one day work in the marketing department of a cosmetics company, combining my knowledge and passion of beauty with the skills I've developed through my degree in Marketing! Thank you for reading this post I hope it was useful! If you have any further questions please do not hesitate to ask me in the comments below and I will do my best to answer them all, or even share your own experiences for others to see! This post was exactly what j needed at this point . I just move from Mexico to Chicago and I'm planning on start working soon . I went to the beauty school and I'm actually are a certified makeup artist . So I decided to try my look in a makeup store . I have no experience whatsoever working here or even attending an interview and this gave me a good idea . Thank you !! . But my main question is . What to write in the resume ? I have my engineer resume but I definitely think I need to create one just about my blog and makeup artist background . I have recently applied for benefit as a manager, I went through the interview process as well as a the audition process. In my two hours of an audition I had roughly 12 people in my seat as well as about 7 product sales? Do you think this was enough to make it though?